Altered Instinct: BOOK REVIEW: Short and sweet - four quick reads reviewed. BOOK REVIEW: Short and sweet - four quick reads reviewed. I had something of a bits and pieces week this past week with regard to reading. My free time was always in little moments - but as it turns out, so was the selection of books to read. So here is a four-in-one review. Four authors, four books. Some time ago, I reviewed the marvelous E-Book Revolution: The Ultimate Guide to E-Book Success, by Emily Craven. Madeline Cain is the character from her Grand Adventures of Madeline Cain, and this prequel novella is available free from all online retailers. 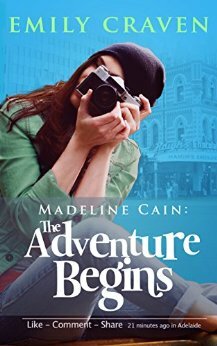 It serves as a plunge into the fun world of Maddie, as she is challenged by an Irish buddy to take part in her 365 Days of Fun project. After that... adventure awaits! Style-wise, it reads as something of an experiment, with the author writing the book as if you were reading a series of Facebook posts between friends. There's banter back and forth, and it does make you giggle, with each of the characters on Facebook having their own clear voice and identity. At one point, for example, there's confusion with Maddy misunderstanding the Irish phrase "crack" and thinking her friend has a drug problem. There are longer portions, written as if they were Facebook notes, created by Maddie, and here the author's talent shines through. I found the Facebook chatter fun but they didn't work for me, it was the notes where I really wanted to read more. That's just a preference, though, it's certainly well written throughout. Still, it's a short, but light and breezy read, a splendid introduction to both Madeline Cain and Emily Craven herself. You can feel the pain in this story from Lydia Sherrer. This post-apocalyptic tale has a world of hurt in the relationship at its core, between the lead character, a survival in the wreckage of the aftermath, and the vampire master who feeds on her to survive. He protects her - perhaps because he needs to. She lets him feed on her blood - perhaps because if she didn't, she wouldn't have a protector in this landscape of cannibals and slaughter. It feels like a story the author needed to get onto paper, and it wouldn't be out of place alongside the likes of Harlan Ellison's A Boy And His Dog. A brief, chilling glimpse into a world drowning in horror. 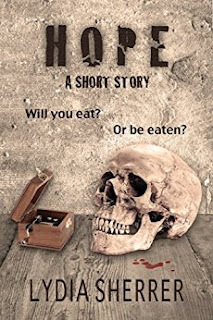 The book on Amazon also includes a preview of Sherrer's Love, Lies and Hocus Pocus, previously reviewed on the blog here - itself far away from this tale with its light paranormal comedy. There are good intentions behind this release - but problems too. 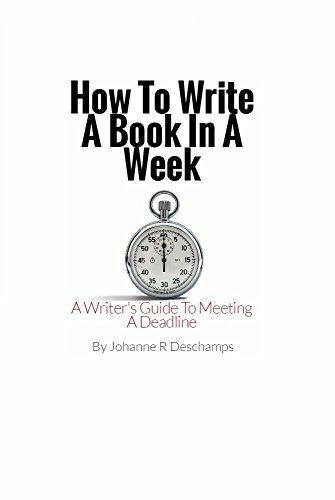 Johanne R Deschamps is clearly very enthusiastic about her writing, and here she sets out how you can write a book in a week. To prove the point, she wrote this very book in a week. 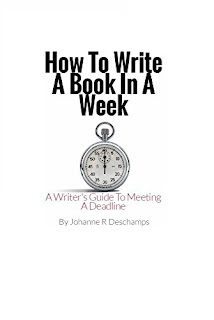 With quotes from writers to set the mood and Johanne cheering the reader on, she suggests getting your first draft done in the first two days, and free writing to get that done. Just get it on the paper, don't worry about the editing until it's done, then use the rest of the week to focus on the main points of your writing and get it into shape. She urges people to tell the family they're not to be disturbed, turn off the phone and unplug from the distractions of social media. Now some of these points are certainly valid - although not all have the luxury to isolate themselves of course - but there's a more crucial problem at the heart of all this. Johanne may have written a book in a week, but it took me less than the time to cook dinner to read that book. In length, it's more or less the same as a short story, about 6,000 words, I guess, and divided up into seven chapters plus introduction and afterword, so essentially a series of sub-1000 word articles put together. While the enthusiasm makes for great cheerleading, it could also do with more substance, a greater breakdown of advice for writers about the process of how to go about the creation of a book. Johanne is not alone in this, there are plenty of bigger names with bigger books who fall into the same problem. In short, I like Johanne's writing, but it could do with being better structured and for that, as with so much writing, it needs more time to breathe and reflect upon - something the topic of this book contradicts by its nature. I am of the firm opinion that Jasper Haeward is going to be a great Bahamian voice. Heck, given her involvement with Bahamian filmmakers and beyond, she's already starting to be so. However, this release is one I'm going to be harsh about - because this is barely clearing her throat. 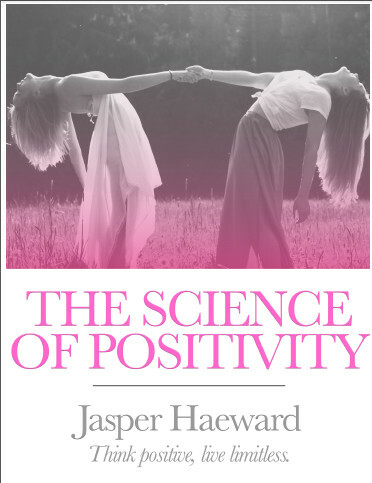 The Science of Positivity is a 12-page pamphlet that focuses on how positive energy can help you mentally and physically. It looks at the fields of noetics and infosomatics - and how consciousness can affect the world around us. However, there's a lack of detail, little in the way of analysis and a weak structure in terms of how this can be applied to your everyday life. This feels like an experiment in essay presentation and in design - but it needs more, and I'm convinced that Jasper will deliver that in future. Unrated - because the first review score I'm going to give is when Jasper knocks her next project out of the park.